When you are looking for an exceptional home care provider in Worcester, Massachusetts, you will want to keep in mind a wide range of factors. This is because there are many different home care agencies out there and some are going to be much better than others. To ensure your elderly loved one is receiving the personalized and compassionate care they deserve in the comfort of home, you will want to do your research and take your time. Reading the reviews online is one of the best things you can do when you are looking for exceptional adult care services in Massachusetts. This is because these reviews are written by individuals who have experienced that particular agency’s services first-hand. Their accounts can tell you a lot about the quality of services you can expect, which can save you a lot of time and hassle down the road. To make sure that your loved one is able to receive the care they deserve, it is important that you know what they need. This means assessing their situation, which will help you find the best agency for them. This is because every agency offers different kinds of home health care services, and not all of them can accommodate your loved one. 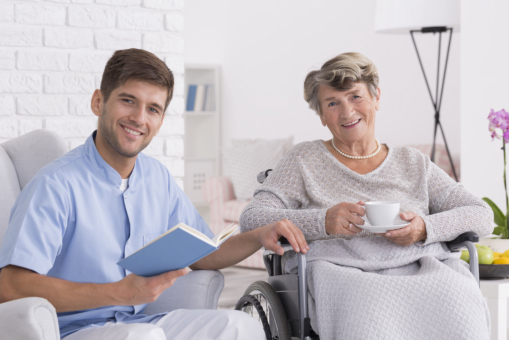 When you are looking for a good home care service provider, it is important to make sure that you keep in mind the fees involved. To get the most value from your dollar, you will want to compare the quality of care being offered and the rates from various agencies. This will help you find a care provider that offers good care without having to break the bank in the process. Those are just a few of the many factors that you will want to consider when you are looking for exceptional home care services for your elderly loved one. If you would like to find out more about finding superb home care services or about our own services, please feel free to contact Prestige Health Care Services, Inc. for more information anytime. This entry was posted in Reliable Home Care and tagged Compassionate Care, Exceptional Home Care, Good Care. Bookmark the permalink.